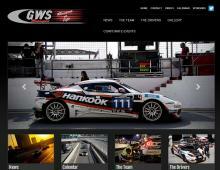 GWS Motorsport was founded in 2010 by Glenn Sherwood. GWS Motor Racing are three times champions of the Exige Cup (part of the Lotus Cup). Glenn Sherwood and his team, which includes ex British GT4 Champion Jamie Stanley, are not only winners of multiple championships but have also been successful in developing corporate driving experience days. GWS Motorsport offer corporate track days in the UK & Europe, at the most popular tracks including the hosting of some special corporate events at Silverstone and Brands Hatch. Corporate motorsport days from GWS Motorsport can include tuition from British GP Pro drivers, hospitality, hot laps and the chance to use top line cars from Aston Martin and Ferrari. GWS Motorsport host perfect corporate driving events for team building, VIP promotion days, track driving experiences and performance motorsport corporate hospitality. GWS’ corporate motorsport events package can be tailored to suit the size of your event or group. These competitively priced packages give you the flexibility to arrange branding and photography options to make your Corporate Track Day one to remember. If you are interested in a corporate driving event contact the team at GWS Motorsport. They'll be able to give you more information on the exclusive corporate driving days at some of the world’s greatest racing circuits!